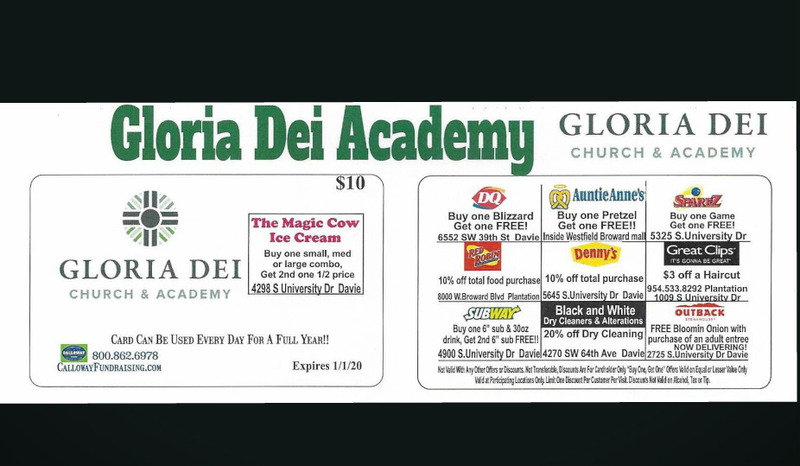 We will be selling Calloway Discount Cards as a fundraiser throughout the month of January. They offer fantastic savings every day , all year long and are only $10.00 each. Contact the school office at 954-475-8584 to get your card and to share cards with your family and friends. The official flyer is available here.